The Settlements Project is a unique, track II negotiation research project run by PON Executive Committee Chair Robert H. Mnookin and PON-affiliate Dr. Ehud Eiran. 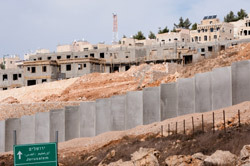 Their research has focused on the internal disputes surrounding settlement construction in the West Bank and Gaza, with a particular emphasis on Israeli and international legal aspects of relocation legislation. This project continues Mnookin’s cutting-edge research into the internal disputes on both the Israeli and Palestinian sides and how these divisions have continually been major barriers to breakthroughs during actual negotiations between the two.